Finally, the day has come to unveil a new chapter in Techloop’s story. 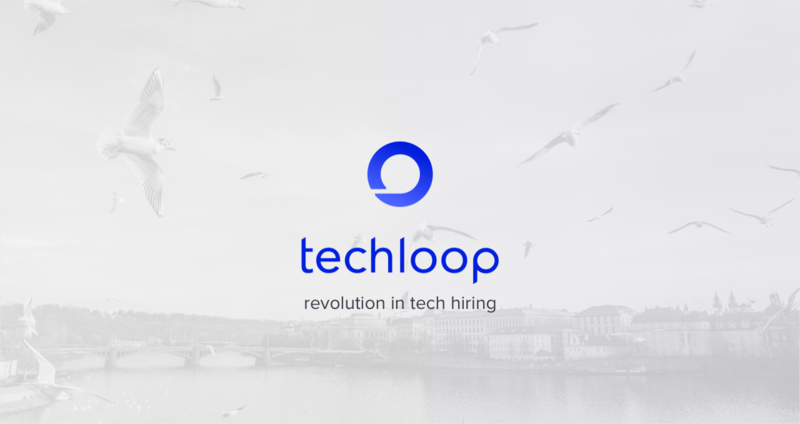 We are proud that over the past 3 years, Techloop has helped hundreds of tech talents in finding their next career move, by connecting them with companies of all sizes across Europe’s tech capitals. Time passed and honestly, we also wonder how we’ve got here. Let’s take a look! It’s 2015 and Leo is finally winning “Best Actor” at the Oscars. At around the same time, Techloop’s 3 founders, Joao, Paul, and Andrew were successfully running a somewhat traditional recruitment agency. 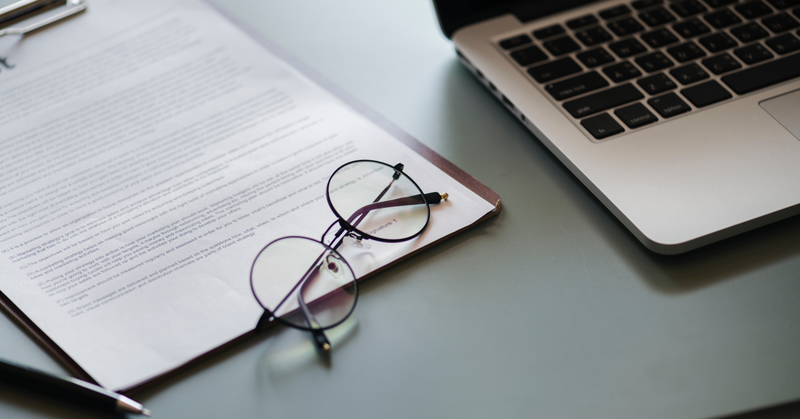 However, as the recruitment world became yet another target of digital simplification and disruption, they felt that they are in the right position to be among the first in this new wave of Tech HR. And that’s how they started Techloop, an IT hiring marketplace with ambitions to change the fundamentals of IT hiring forever. Techloop has always aimed to remove the middlemen from the equation and to provide a direct communication channel between companies and candidates. 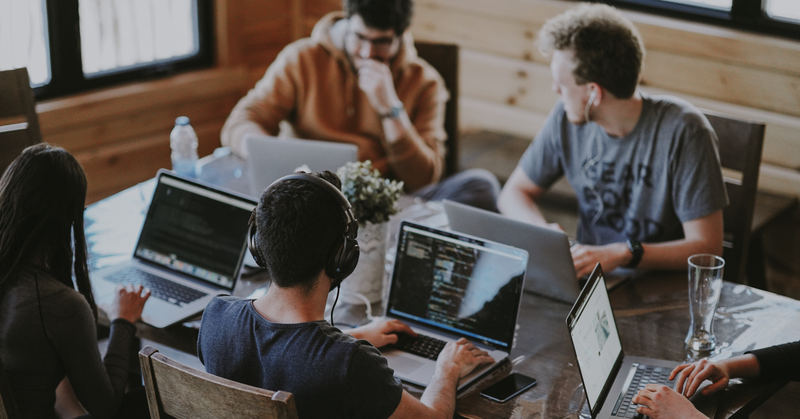 With years of experience behind us, we’ve learned much more than we’ve imagined about the nitty-gritty details and complexities of hiring, especially in tech. We decided we cannot fix the whole IT hiring process, but we can excel and substantially improve several of its parts. Techloop set its mission to become the industry-leading Sourcing and Employer Branding platform in tech. Our strength already lies in our exceptional talent pool, where we consistently create thousands of conversations between companies and candidates on a monthly basis. Candidates can explore and converse with companies in a controlled and hassle-free environment and get our support along the way. And today, we uncover what we have been working on for the past few months to fulfill our ambition in the HR tech world. We are excited to announce that Techloop is now subscription-based sourcing and employer branding platform, providing unlimited access to our talent database for a fair, monthly fee. Join us to go through the most important changes we’ve made, and see how your company can benefit. Following a simple and free registration, you’re already inside and ready to explore our pool of over 15,000 tech talents, mainly from Central European tech capitals. 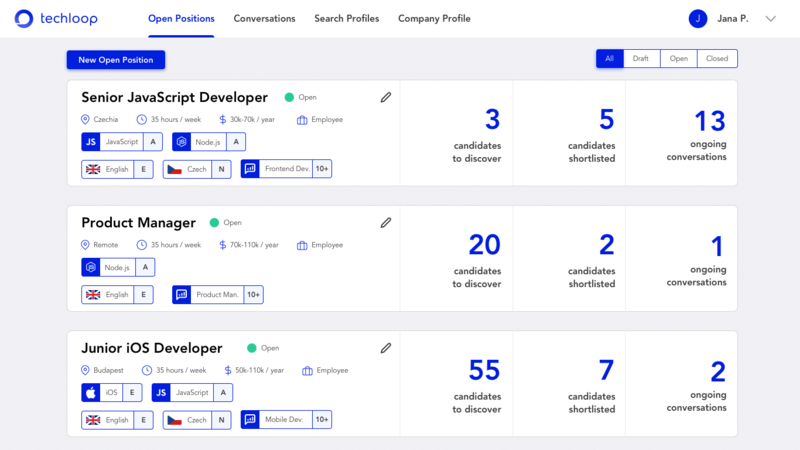 We think this is a great way to get a sneak-peek into the number and type of candidates suitable for your open roles. Also, it’s important to note that talent remains anonymous until your invitation to start a conversation gets accepted. To start a conversation and interact with our candidates, you need to subscribe to either our quarterly or annual plan. You can find a comparison of our pricing below. As simple as it sounds, upon subscribing, you’re ready to get the conversations going. You can easily filter profiles based on specializations, technical skills, job status, and other criteria. Sounds good already? Read on to find out what else we have up our sleeves and let us fire up your sourcing engine! Never miss Out on Great Talent Again! 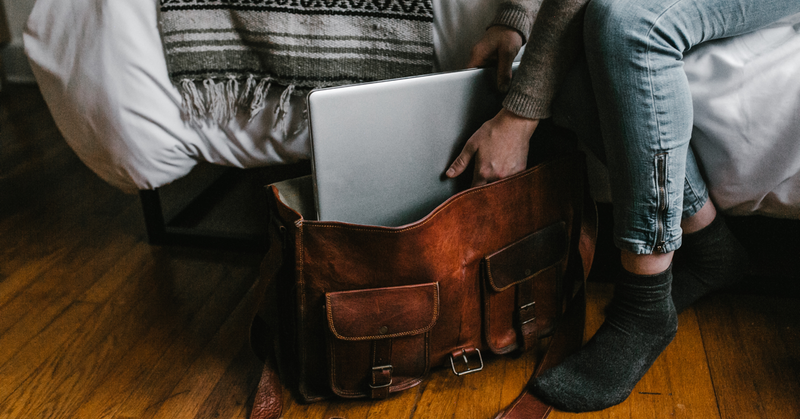 Every time you’re looking for a new hire, you go to your “trusty” recruitment tools, conduct searches, then refine those searches, and hopefully collect a good number of possible leads. At the end of this lengthy, sometimes painful process, you’ll have some candidates jotted down into your notebook to contact. What if none of them is a good fit? Guess what, you’re back to square one. With our Open Positions feature, you can save your search criteria into open positions visible to both you and the candidates. No need to set up the same filters again. Moreover, you’ll be notified on the newly-joined candidates fitting your position requirements, so you’ll never miss out on fresh talent profiles suitable for your roles and waiting to be discovered. In addition, talents can also express their interest in your Open Positions, and you can decide who to follow up with. This way you have twice the chance to find a new member to your team. Employer branding, as a company’s ability to differentiate and promote identity, mission and core values, has only started to stir waters recently. Still, employer branding has become a vital factor of not just attracting, but also retaining the right talent. Based on our experience and especially in the IT market where finding the right talent is hard, proper and well-delivered communication about the company and what it stands for is often overlooked. Attracting talent is difficult, especially if nobody knows what you stand for. Strong and resonating employer branding builds culture and loyalty and speaks to current and potential employees of your company. Remember, not everyone does it for the money, a lot of people want to build or be part of something that matters. The other problem with impactful employer branding is the ability to be seen by the crowd you care about. I think we call it “targeting”. And this is where Techloop can help out. We help you stand out in front of the most relevant crowd that can be hard to reach and speak to at scale. That’s why, apart from providing an efficient sourcing platform, our Enhanced Company Profiles is the second pillar of your success in engaging with the tech crowd. Being consistent in your employer branding and communicating your company’s values, while reaching out efficiently to active candidates matching your role preferences. We believe these are the key factors to build a predictable and sustainable candidate pipeline. 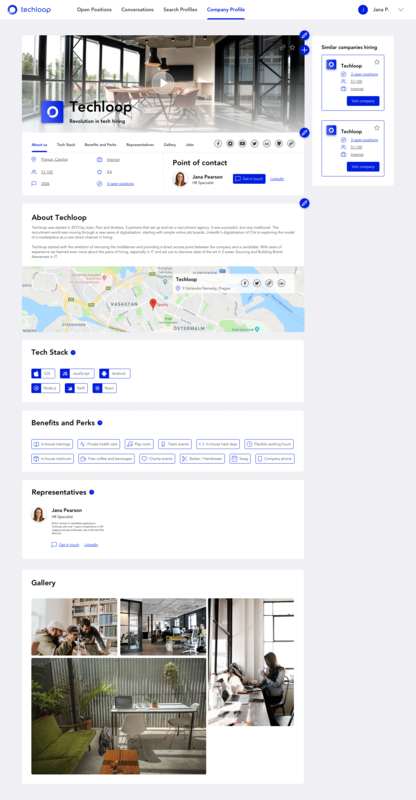 Subscribe today and get yourself presented the right way in front of Techloop’s community by creating and completing your Enhanced Company Profile. Being resource constrained is one of the highest ranked roadblocks of hiring with time topping the list. Therefore, we also want to provide a solution even when there’s just not enough time to sort through a curated list of tech talents, or you have complex hiring needs. Meet our Enterprise Service! Simply, reach out to our Account Managers, and let their expertise lift the groundwork off your shoulders. They’ll define the team, look for suitable talents and take care of the selection process – in close cooperation with you. Our Account and Talent managers will find you the best possible profiles from our curated database of candidates. You just simply need to get the conversation going, while our experts constantly monitor and facilitate the process on both sides. As fast and smooth as it gets. In addition, providing regular feedback and reports that help understanding the current trends is also among the support you can expect from our team of experts, focusing primarily on the tech market. Sounds like something more fitting your hiring needs? We’d be glad to share more on our process with you! We are thrilled to reveal our new sourcing and branding platform and we can’t wait to see the impact on both tech sourcing and job-search. All this while bringing fairness and real transparency into tech hiring. Now, it’s your turn to take the new Techloop to a spin. Register for free and start exploring our growing talent database and the handy features of the platform, then subscribe, and get your team growing. Hope you’re as excited as we are and see you on Techloop! Any questions or feedback about the brand new Techloop experience? Don’t hesitate to send us an email to subscription@techloop.io.